Our homeopathic treatments, are intended to enhance the body's normal healing and self-regulatory processes. They may be of great benefit in assisting the foxes body to repair itself when there have been sprains or minor injuries, or indeed in cases where symptoms of mange begin to show. As homeopathic treatments are created from natural ingredients, there is no danger of overdosing and no danger of adverse-affects should the remedy be consumed by non-target animals. Homeopathic remedies are in no way intended as a substitute for veterinary treatment and should not be considered as such. If you have visiting foxes, showing clear signs of distress from injury OR with more than 40% body coverage from mange, please call The Fox Man on 07572 270432. We regularly receive calls from members of the public regarding the foxes that appear to be in poor-health. 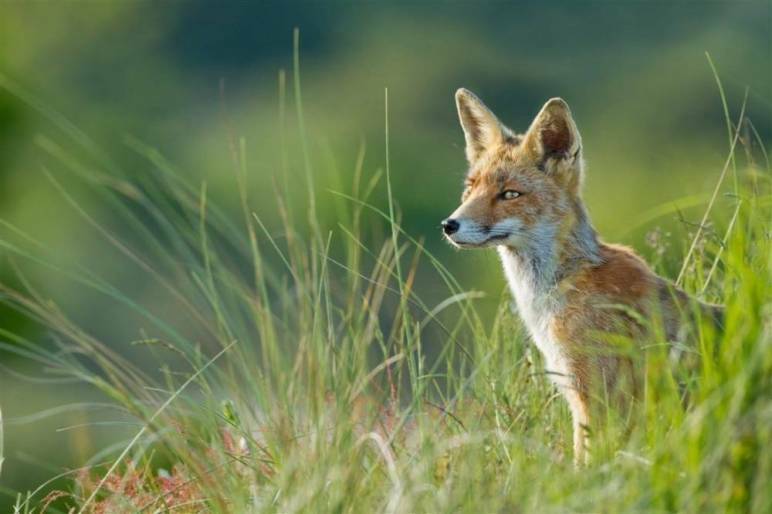 Psorinum, a supplement to the foxes’ diet, helps to boost the fox's immunity aiding in the fight against mange in cases where there is less than 40% body coverage. Mange is the result of a skin mite which causes the fox to scratch, and this leads to fur loss and crusty or flaky skin. Often the first place hair will be lost is on the haunches – the hip joints – and then along the back and tail. Mange may be especially prevalent during the winter months when food is harder to come by, the immune system of the under-nourished fox may not be as strong as it should be resulting in the fox being run down and physically more easily compromised. Mange is very infectious, and when the foxes come together to mate, the chances of the infection being passed between foxes is greatly increased. Mange can cause the joints in the feet to swell, so it is not unusual for a fox suffering from mange to carry the added burden of sore and painful feet. The fox will often either limp or stop using the affected foot entirely. 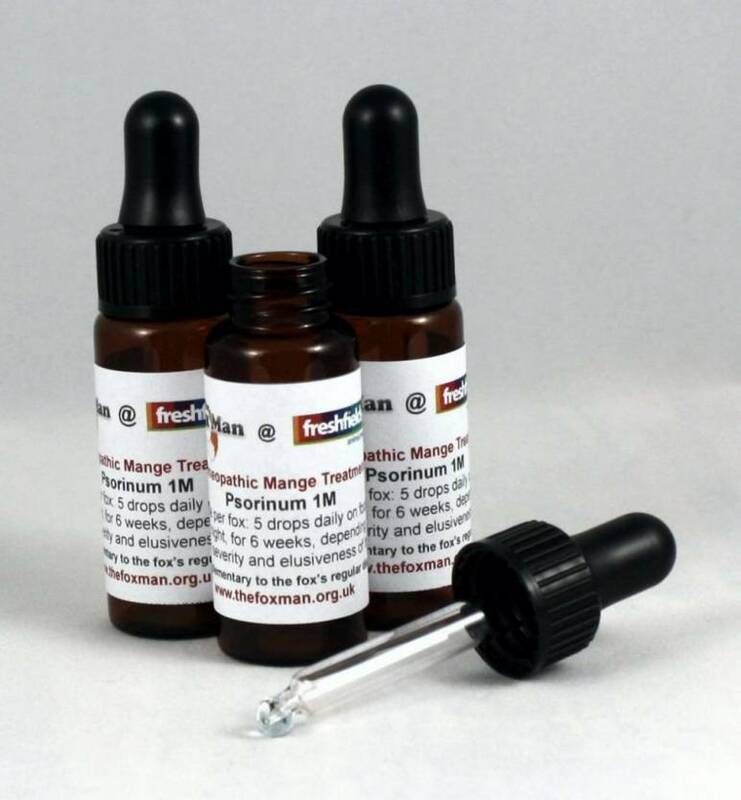 Freshfields and The Fox Man sell a homeopathic mange treatment, which is delivered in liquid form into the fox’s food. It takes a couple of weeks to kick in, but in many cases a marked improvement will be seen after 4 or 5 weeks. Click here to order mange treatment. A fox holding its leg off the ground or observed walking with a pronounced limp may well be suffering from a sprain or minor injury. It is also possible that the fox may be suffering from the joint swelling that often accompanies mange. In either case Arnica, which forms the base ingredient of our sprain and minor injury treatment will help to relieve pain and reduce swelling. As with our Homeopathic Manage Treatment there is no danger of overdosing and no danger to non-target animals. 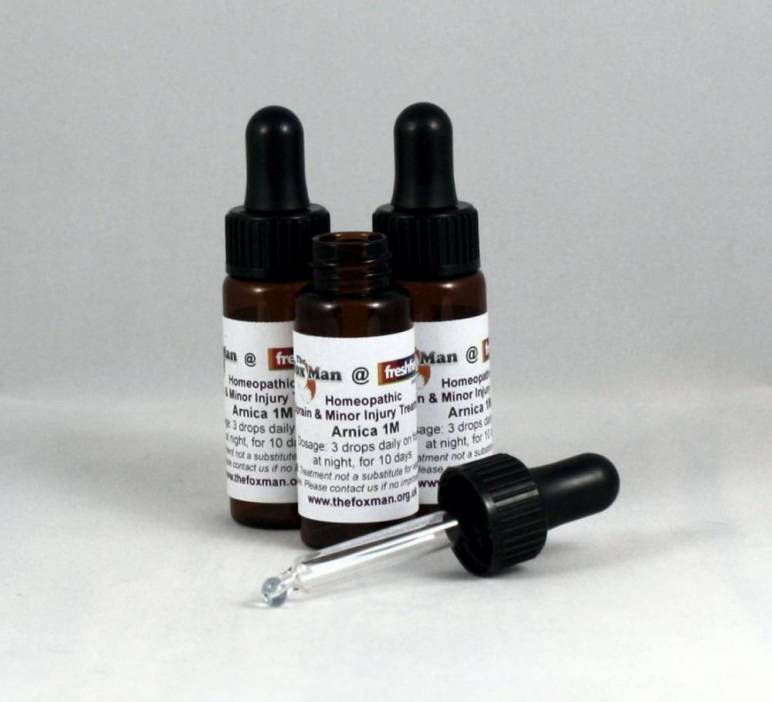 Treatment is easily administered via food, over a 10 day period, full instructions on bottle. If no improvement can be seen by the end of the treatment period, then intervention may be necessary, homeopathic remedies are not a substitute for veterinary intervention. Please call The Fox Man on 07572 270432 for further advice. Click here to order sprain & minor injury treatment.